According to a recent eco-efficiency analysis of asphalt pavement technology, it was found that microsurfacing is not only more economical but also causes less environmental impact than the traditional mill and fill strategy. The organization behind the analysis, BASF Corporation details a wide range of methods used to determine the benefits of using microsurfacing to prolong the design life of road surfaces. 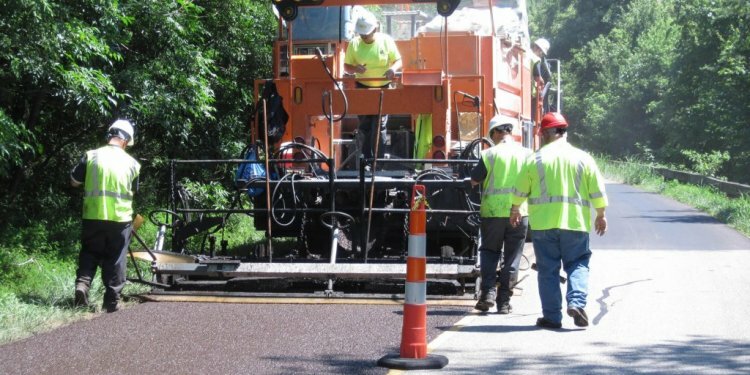 The basis of the study revolved around the use of two-inch mill and fill asphalt overlays and compared it to the cold mix, asphalt emulsion-based microsurfacing. The impact of both materials was measured on one-mile sections of 12-foot lanes using each technology. Where pavement preservation is concerned, microsurfacing is quickly becoming a popular option due to the many perks it offers. By simply mixing aggregate, mineral filler, water, and a polymer-modified asphalt emulsion, it creates a very unique result. When coated on a road surface, it can accept traffic in as little as an hour and is an ideal solution for heavily-traveled roadways. As a road maintenance strategy, it is ideal for leveling a street and filling cracks as they being to appear. The concept behind mill and fill entails removing the existing surface layer with a milling machine and then transporting the material to a storage facility. New asphalt is then used to replace the milled location, allowing for upwards of seven-to-10 years of durability. While the use of mill and fill entails for less frequent maintenance, the cost still proves to be quite significant. While microsurfacing requires a single application every five-to-seven years, it maintains a low cost due to the decreased levels of aggregate needed to maintain road surfaces. Asphalt-based mill and fill requires hot production environments and applications in addition to more asphalt and aggregate than microsurfacing, which results in a 40 percent increase in energy expenditures over microsurfacing. From a materials standpoint, microsurfacing requires less than 50 percent of the resources needed for mill and fill. Of all the contributors of land use in producing aggregate, mill and fill was identified as the largest contributor. Mill and fill, in comparison to microsurfacing, uses as much as 2.5 times as many aggregates, which thus requires more asphalt binder than used in microsurfacing. This increased level of materials and work is necessary to offer the same 40-year life cycle offered by microsurfacing. The resulting impact is that mill and fill requires 25 percent more work and cost despite the more frequent applications required for microsurfacing.